Not into hot spicy things? That’s ok, because these chilies also come in a mild variety that has no heat to them at all. If that doesn’t entice you yet, know that the active component of capsaicin found in chili peppers like these are not only cancer fighters, but are an antioxidant that help atherosclerosis, asthma, pain disorders, diabetic neuropathy, cluster headaches, arthritis, psoriasis, inflammation, and can even give a boost to the metabolism and cardiovascular system. Have hot-flashes or a fever? Capsaicin lowers the body temperature by stimulating the cooling center of the hypothalamus in the brain. This can help people deal with high temperatures. These chilies also contain carotenoids, vitamins A and C, are rich in zinc, iron, calcium, potassium and rutin. August to September marks the harvest season of green hatch chilies in Southern Colorado, all the way up into New Mexico. This part of the US grows more green chilies than any other part of the country. 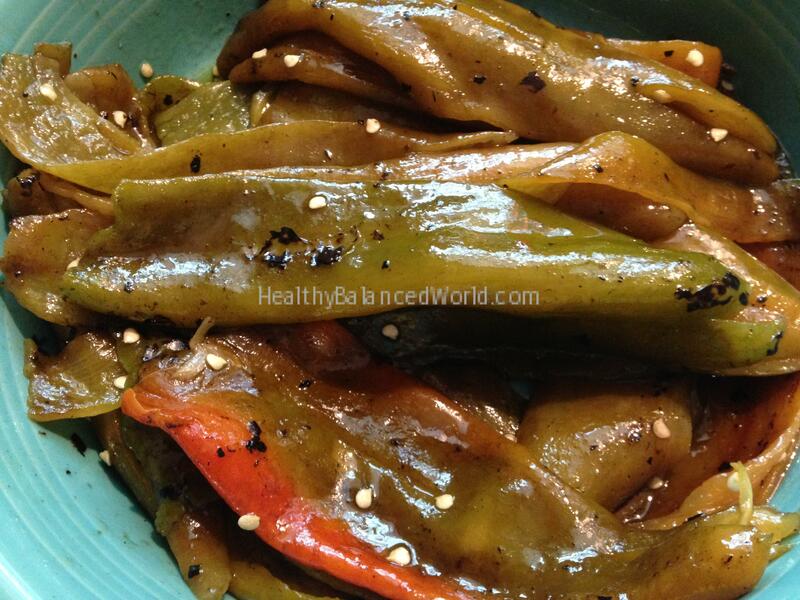 During this time of year it is common to find vendors roasting and selling fresh hatch chilies in the parking lots of supermarkets and strip-malls. 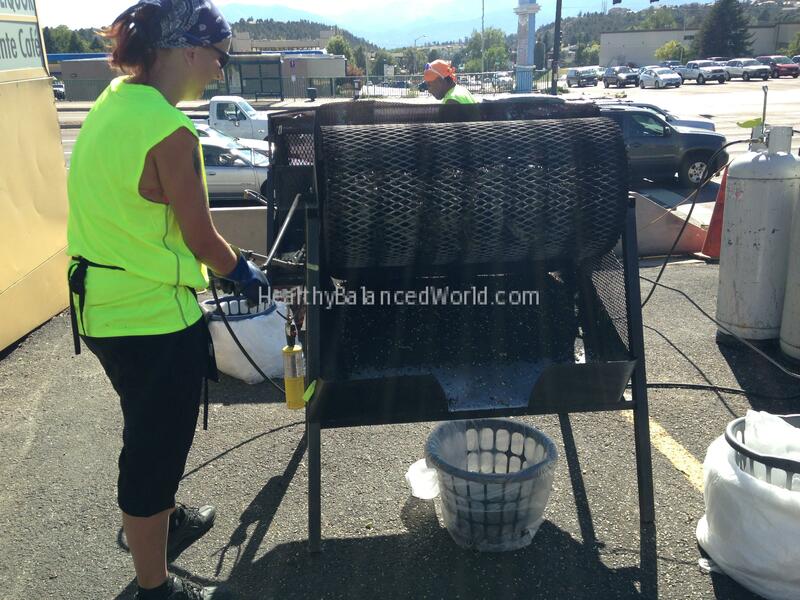 In Southern Colorado many wait for the Annual Loaf’N Jug Chile & Frijoles Festival, in Pueblo, CO, which takes place on the third weekend after Labor Day. Local farmers there sell the local popular variety of native peppers called the mirasol, which the festival celebrates. However if you are ever in the Colorado area and can’t get that far south, look for the vendors who often sell fresh green chilies, sometimes all the way from Hatch, New Mexico. Chili peppers are botanically considered fruits, but in the culinary world are viewed as vegetables. 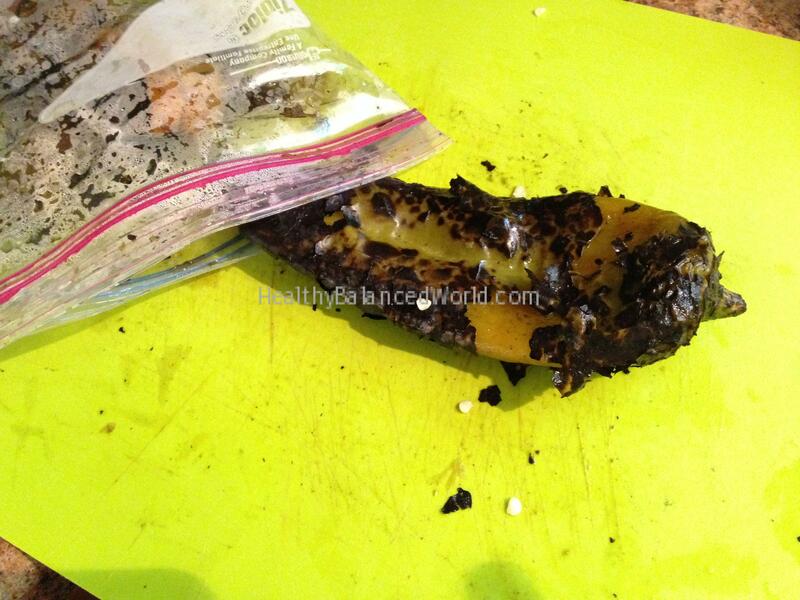 Locals put these roasted chilies in everything from their morning eggs, sandwiches, dips (see recipe below), to stews. Roasted they add a lot of flavor to your food. You can even keep them raw and chop into a salad. When you buy a bag roasted from a vendor they are still steaming hot, and depending on how much you buy you are instructed to leave them in the bag to steam off the skins anywhere from a half hour, to an hour and a half. Once you get them home scrape off the dry exterior charred skin, take off the tops, slice open to get rid of the seeds, and depending on if you want a lot of heat or not you can take out the interior veins to keep the heat low. I drizzled mine with a little olive oil and sprinkled with a little salt and separated into two smaller zip-lock bags, one of which went into the freezer for later use, the other in my fridge to enjoy during the week. If you want you can add a little crushed garlic and oregano, and that will give it a Greek-Italian flavor. I go down to a popular vendor in Colorado Springs on the corner of N. Academy Blvd. & N. Union Blvd. (Cal’z Chile’z), where they have been a fixture for the last eight years. This group is very friendly and will let you sample the varieties before you buy. Sit back and watch the roasting in action while you wait for your order to come up. They smell great and taste even better! 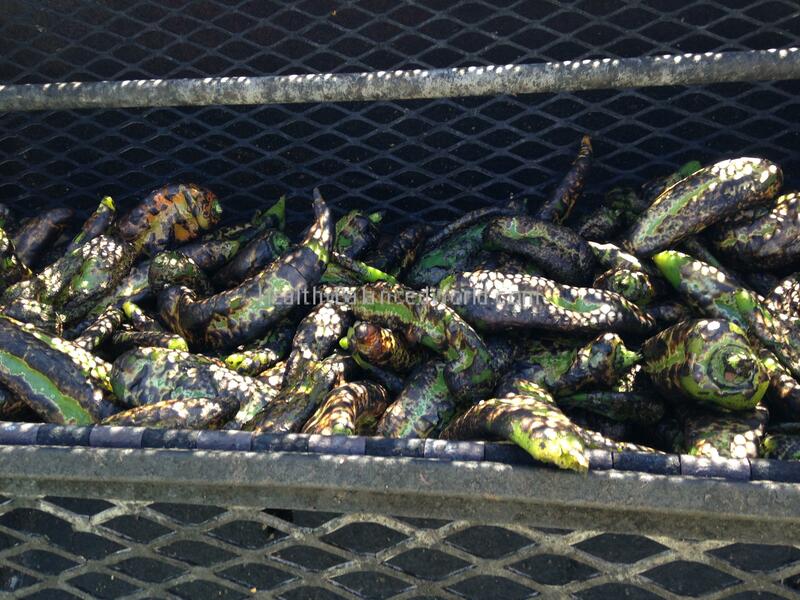 Next time you are in the Colorado area between August and September give the roasted chilies a try. You’ll be eating a bit of local culture, and gaining the health benefits of a vegetable that can prolong your life. Roast, peel & de-stem chili, chop coarsely. Simmer for 10 min. Serve with chips or on meat dishes. I visited this location this week and it looks like this will be the last week of the season. I’ve usually purchased Hatch Chilli but thought I would try this larger variety of pepper. I made green chilli and frankly found these peppers to be superior to the Hatchs that I’ve had in the past. Here’s my beef. I was generally attended to by a young guy who was upbeat, explained their pepper varieties and fired them up for me. However, the older guy who took my money was clearly agitated and frankly, nasty. When I was addressing the younger guy about the heat level I wanted the older guy, looking at the ground, muttered ” hot medium, mild, that’s it.! Afterword, he took my money, almost threw it in the register, went to his car and drove off. The conversations I had with the young guy were polite and upbeat. The older guy should never be allowed to speak to customers. What a jerk.